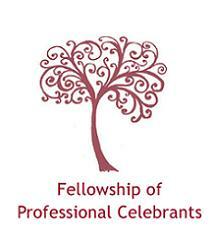 The Fellowship of Professional Celebrants is the UKs leading Training College for Independent Celebrants and was founded by Terri Shanks who has been leading our acclaimed courses since 2007. We register only Independent Celebrants trained to the very highest standards and professional ethics and who have the passion & creativity to make every ceremony beautiful and unique. We train across the UK at various locations, currently including Worthing, Hebden Bridge and Glasgow, and have an experienced professional network of independent celebrants across the UK and indeed throughout the world.